I was not compensated to write this post but did receive 2 complimentary tickets to the festival. All opinions are my own. It’s that time of year again! 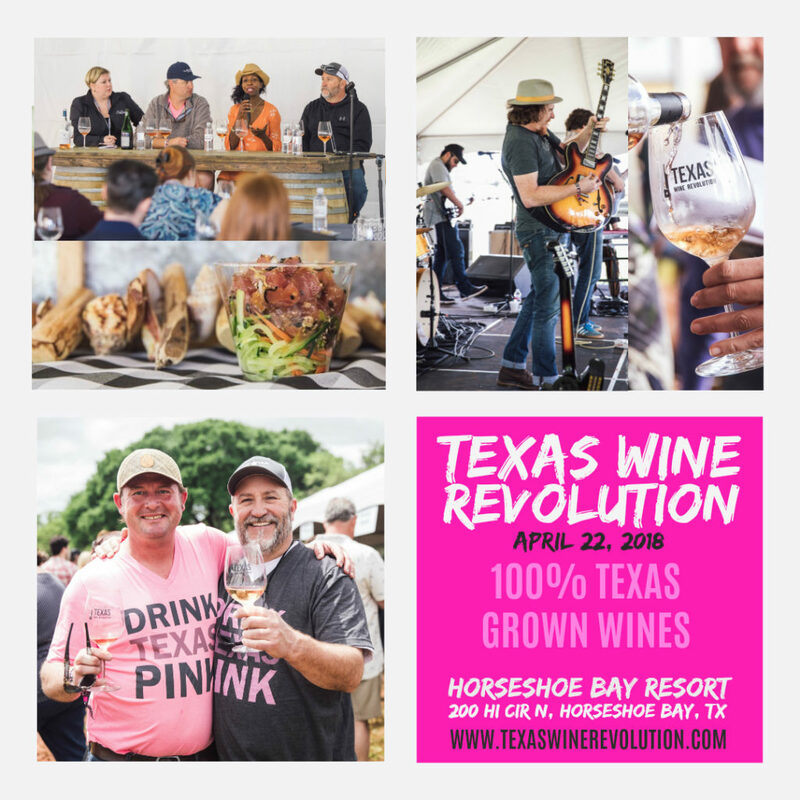 On Sunday, April 22nd at the beautiful Horseshoe Bay Resort, Texas’ finest winemakers and wine lovers are all coming together to celebrate the great wines that are grown and made in the Lone Star state. This festival/experience is known as the Texas Wine Revolution. This annual, non-profit event was created to provide consumers with education and promote awareness of Texas wines. (We’re making some pretty good wine here and people need to know!) The educational seminars are led by leaders in the industry and generally cover the processes and challenges in making and selling Texas wine. 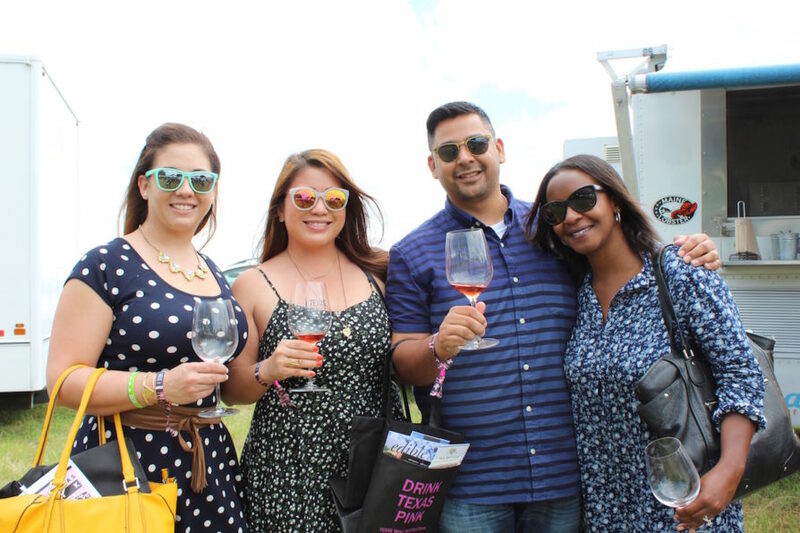 With over 25 local wineries and winemakers in attendance, this festival is a great way to familiarize yourself with 100% Texas Rosé through tastings, seminars, and by meeting some of the key players in the industry. There will also be live music, local food, activities, a silent auction, and plenty of photo ops to add to the fun. Wine. Food. Live music. Seminars. Great people. 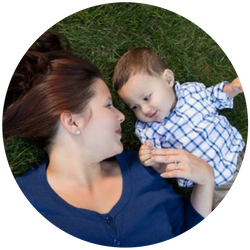 If you’re looking to make a quick weekend getaway of it, you can also a book a room right at Horseshoe Bay Resort. I’ve teamed up with TWR to give 2 lucky readers the chance to experience the festival for FREE. Enter for a chance to WIN 2 TICKETS to the 2018 Texas Wine Revolution by completing the tasks below. The giveaway starts today 3/27/18 and ends at 11:59pm on 4/4/18. Winner to be announced 4/5/18. Last year’s Texas Wine Revolution was a blast and I expect no different this year. If you love wine as much as I do and are looking to have a great time with some great people- this is the festival for you. For tickets and more information, visit Texas Wine Revolution. Have you been to a past Texas Wine Revolution wine festival? What did you love about it? I’d love to hear about it in the comments below. Last year’s TWR Festival was absolutely fun!!! Looking forward to sampling wine and foods again this year, as well as meeting new wine lovers!! !